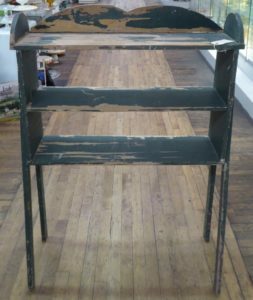 Painted Cooling Shelf – Very Unusual – Booth 13, $185.00. 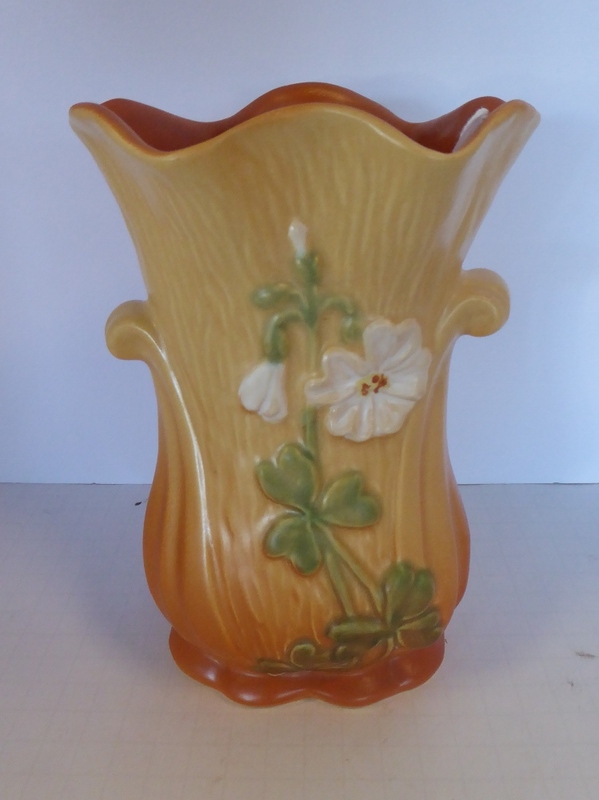 Very Pretty Weller Vase, $48.00, Booth 316. Crock w Faint Blue Decoration – $115.00, Booth 318. 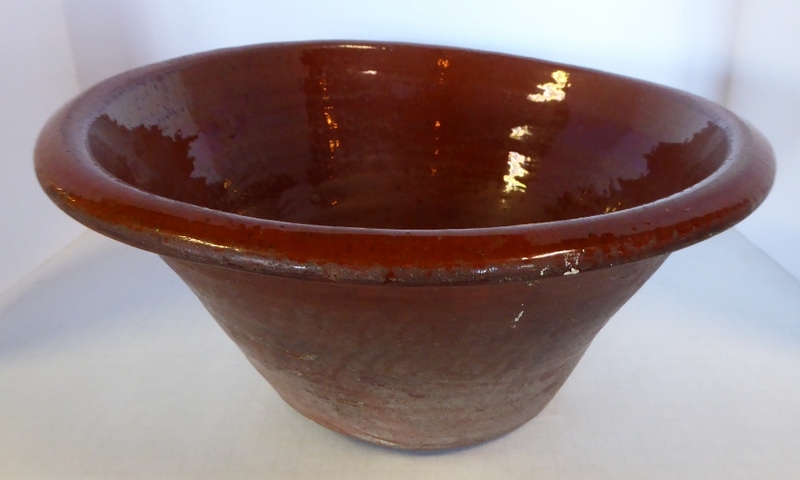 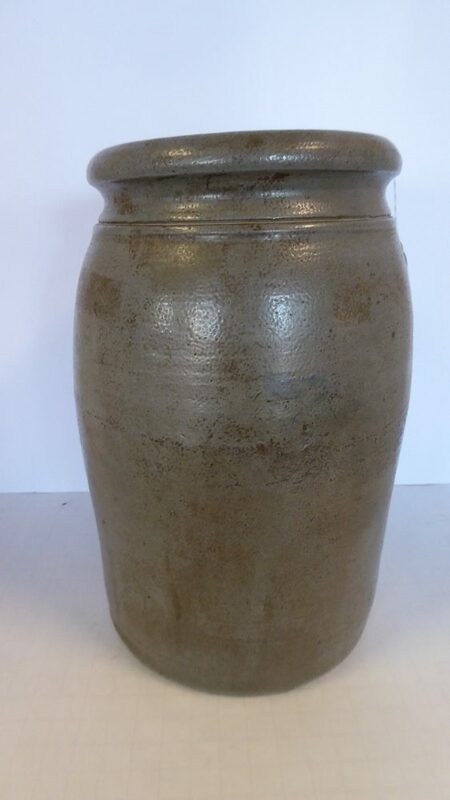 Early Hand-thrown Redware Milk Bowl – Early 1800’s Booth 318, $265.00. 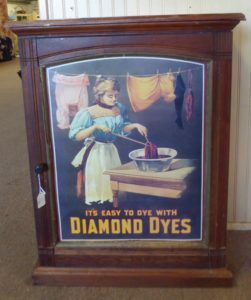 Diamond Dyes Cabinet – w Cubby Holes – Booth 311, $550.00. 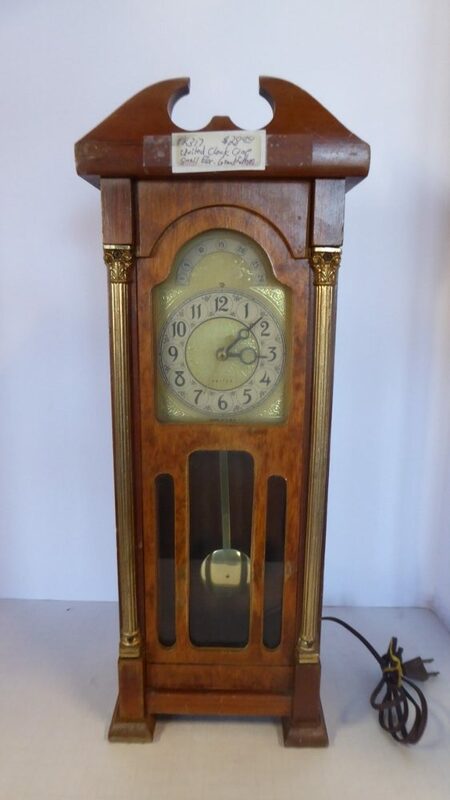 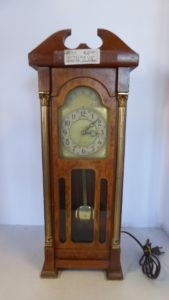 Small Electric Grandfather Clock – United Clock Corporation – $28.00. 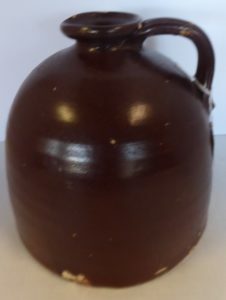 Molasses Jug – Booth 316 – $55.00. 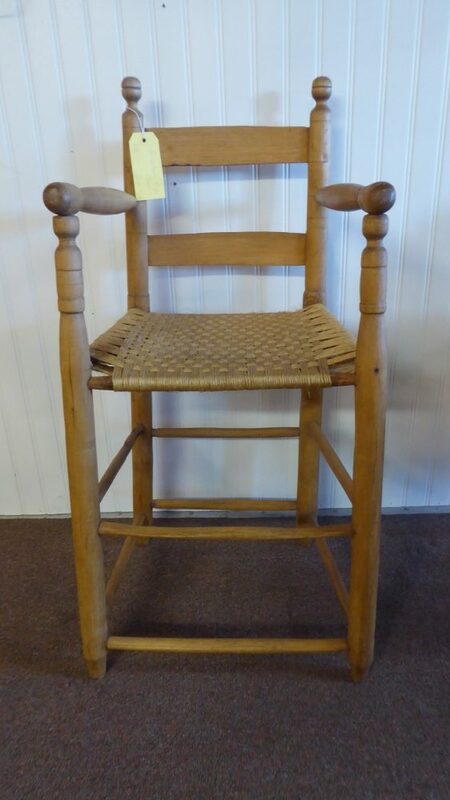 Primitive High Chair – Booth 318, $200.00. 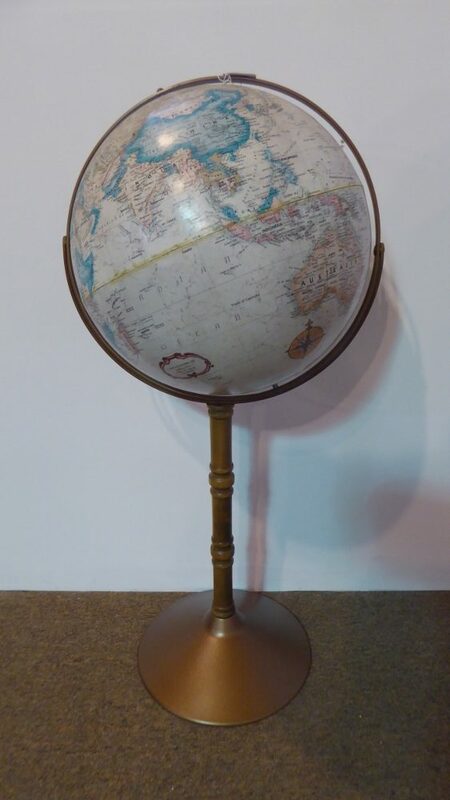 Replogle 16″ Globe w Stand – Booth 202, $60.00. 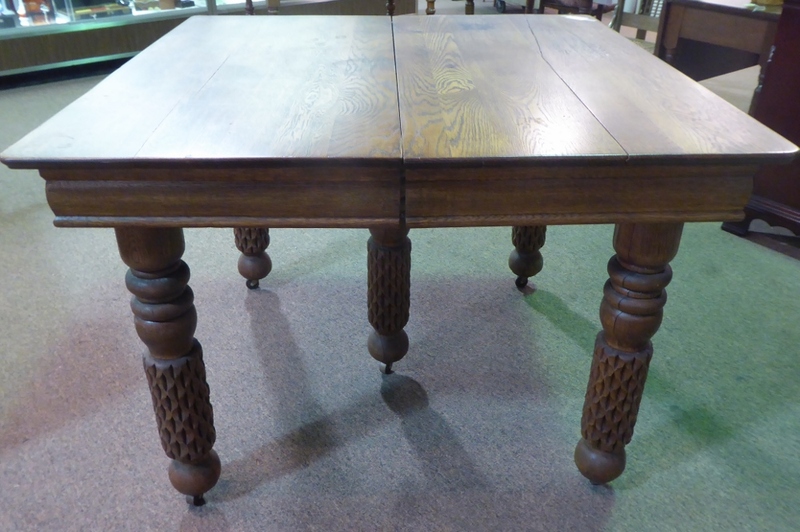 Square Oak Table – 316 – $195.00. 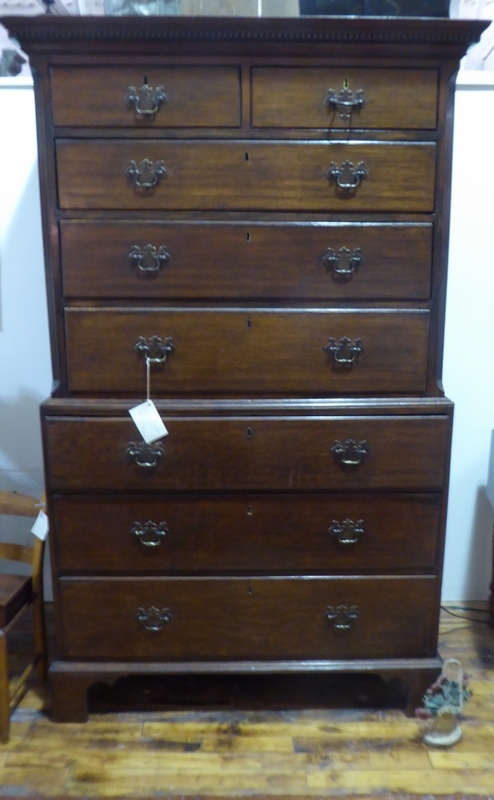 Early 19th Century – Two Piece Stepback – Original Hardware, $725.00, Booth 90. 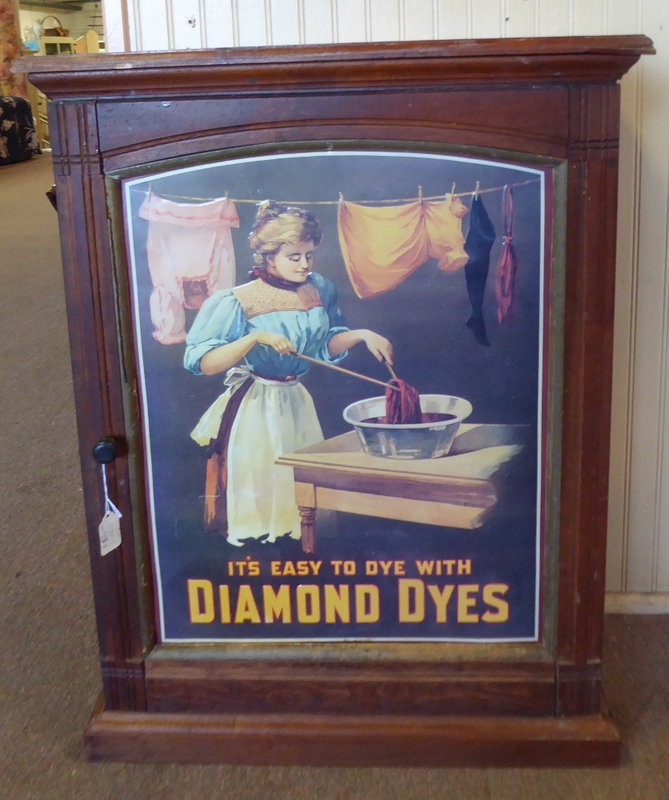 Unique Cupboard (Pictured in Collage) Made from Shipping Crates, Booth 13, $135.00. ‹ Complete Beatrix Potter Set – Oak Library Table and More!